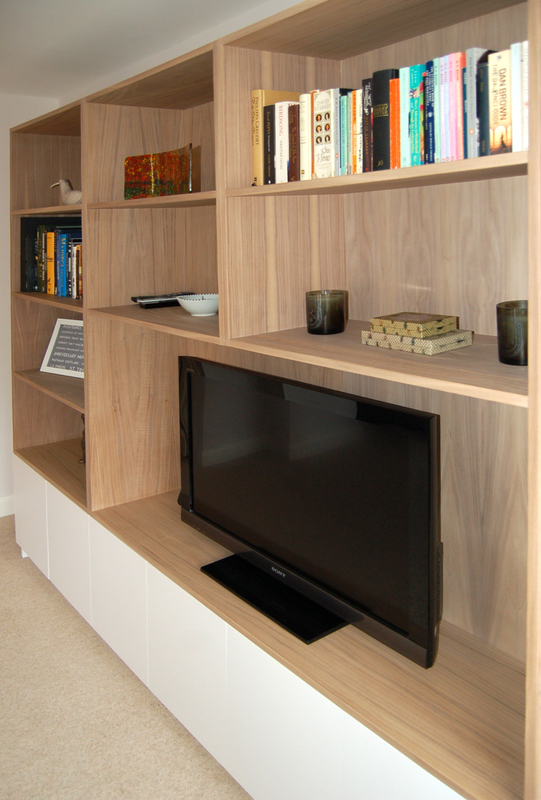 A contemporary design media and storage unit. 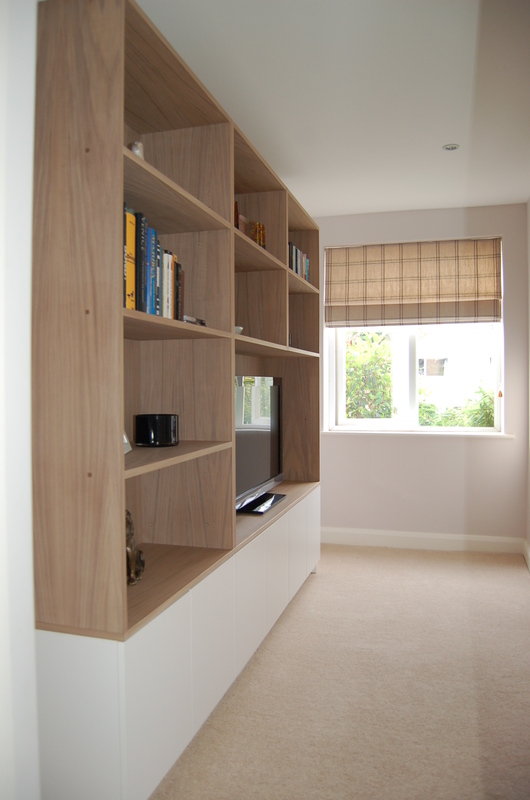 Hand painted base cupboards compliment the ‘washed’ walnut shelving above. Doors open and close using a push-release system thereby eliminating the need for door furniture and giving the unit a fresh, modern feel.